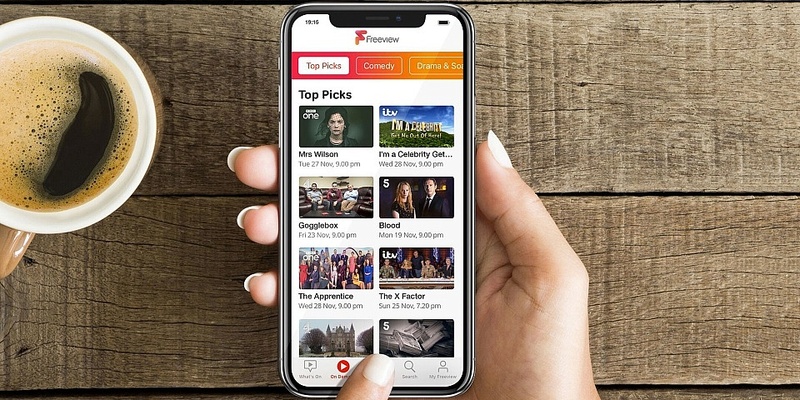 A new Freeview mobile app that gives you access to a massive range of live and on-demand TV streams on the go has launched on iOS. The app is a completely free download and is only available on iOS devices for now, but is expected to launch on Android phones and tablets in the spring. Freeview tuners, which can be found in just about every TV released in the past three years, give you access to more than 100 channels once you plug in an aerial. 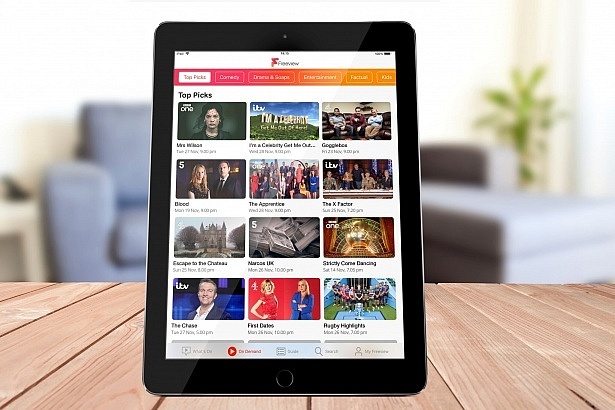 The Freeview app is the first time all the content available live and on demand from these channels will be available to browse in one place. Find out more about Netflix, Now TV, Amazon Video and more, and see which suits you best with our streaming service reviews. With the app now available, we downloaded it to give it a go. The app’s key strength is letting you browse through all the catch-up content available on iPlayer, ITV Hub, All 4, My5 and UK TV Play; however, when it comes to watching something, Freeview will send you to the relevant streaming app. If you wanted to watch Eastenders, for example, you could search for it on the Freeview app but it would be played through iPlayer. Handily, the Freeview app prompts you to download any catch-up apps you’re missing as soon as you open it for the first time. The interface is clean and easy to use. One tab shows you what’s on Freeview channels right now, while another shows you the guide view – essentially a full list of all the channels for you to scroll through exactly how you would if you were looking at the electronic programme guide on your TV. From this guide tab you can select your favourite channels, set reminders for shows and scroll back through the previous week’s TV to watch what you’ve missed. The on-demand tab is where you can see everything available from the various catch-up services. You can look at recommended shows, filter by comedy, drama and other genres, or search for something more specific. The straightforward layout makes it an excellent way to browse the enormous amount of streamable content from the UK’s most popular channels. You will also need a TV licence to watch live broadcasts, and since you’re using the iPlayer app for BBC catch-up you will need one anyway. Will you be able to watch Freeview TV abroad? Since the Freeview app relies on separate catch-up apps to work, it’s likely that the usual restrictions on watching UK TV abroad will apply. It’s unlikely that the live TV broadcasts will work overseas, but any of the catch-up apps that allow you to download shows will work abroad as long as you download whatever you want to watch before you go. You can use our guide to watching TV abroad to see the best ways to stay caught up with your favourite shows overseas. Use Which? Film Finder to get the cheapest deals on the latest films, including those you can download to watch on holiday. Will casting from phone to TV help those with poor signal? Anyone who’s had aerial woes will understand how frustrating it is when the signal drops out and so too does your picture. Casting is where the picture from your phone appears on your TV screen. So if you have strong internet but weak aerial reception, then this could feasibly get you a more reliable picture. The Freeview doesn’t have casting capabilities, but the apps that are actually playing the content – iPlayer, ITV Hub and All 4 – do, so you can still cast catch-up content to your TV. If you’re struggling to get a reliable signal, try one of our top-rated aerials. How much data do I need to stream live TV? You can usually expect to use more than 500MB of data streaming an hour of TV in standard definition – double that for HD. For this reason it won’t suit those who have limited data contracts with low allowances. If you’re planning on getting good use out of the new Freeview app, then you may be better off with an unlimited data package. Find out who we rate as the best and worst UK mobile providers if you’re shopping around for a new deal. Our guide to haggling with your mobile provider could land you more data for no extra cost, and you can also learn more about how to keep track of your mobile data and minutes.